Not quite Aloha any longer since I am officially back home in Oh Canada! Where did the time go? I had meant a million times over to post more while on vacay and show you a few sights, however each draft just never made it to completion. I call that a small success I guess, since vacations are short and time at home in comparison are long. For those of you that know me well, you know I am a trail hugger. My trail bike rides back at home every evening prove that fact pretty quick. 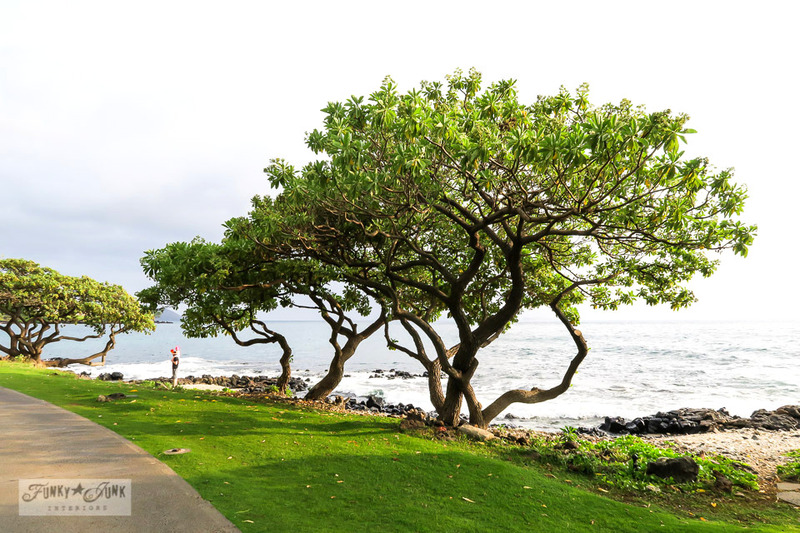 However, there are also trails to be discovered on Maui as well. I love trails because they take you away from typical tourist hot-spots, and generally lean more towards nature helping you see where you’re REALLY at. 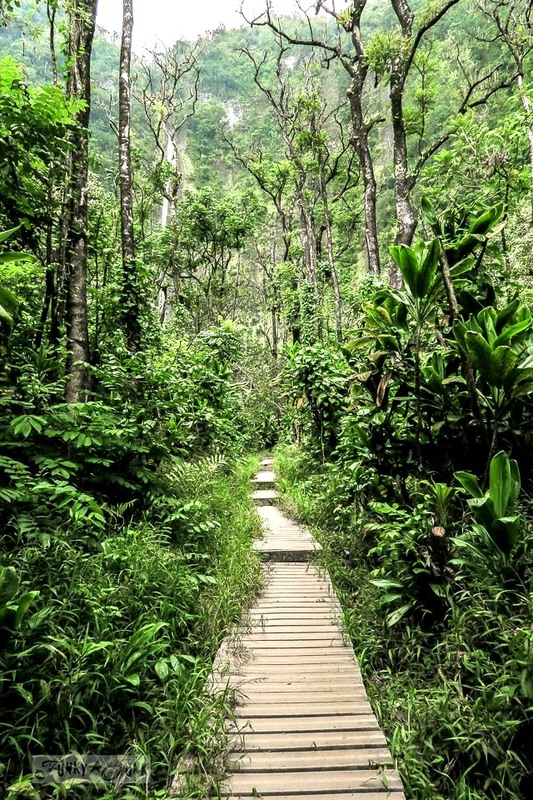 My very FAV trail is the 1.5 mile long Pipiwai Trail located just beyond Hana, that leads through a bamboo forest ending in front of a remarkable waterfall. I wrote about it HERE but do have another post on it coming up, sharing a pinnacle moment for me. Soon! 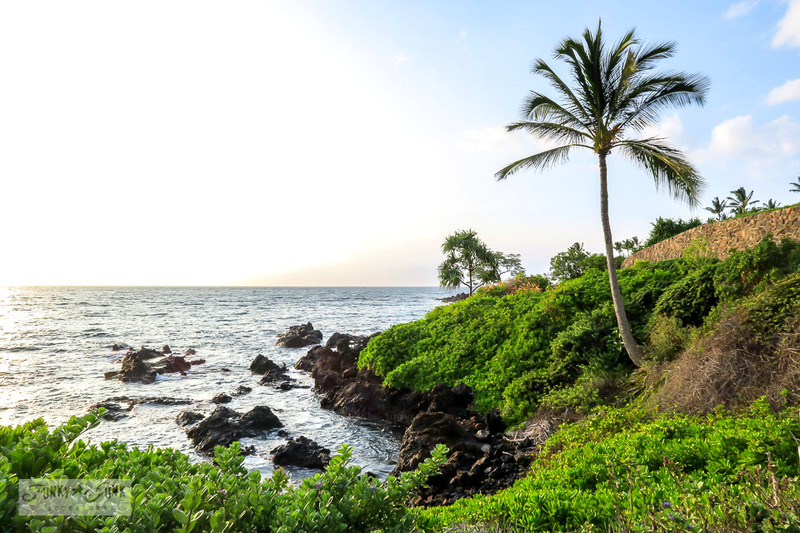 There are many other Maui trails too, that are mountain bike related upcountry, some along the north shore coast, and a beach walk along Napili – Kaanapali area, one near the propellers on the west mountains. And more! 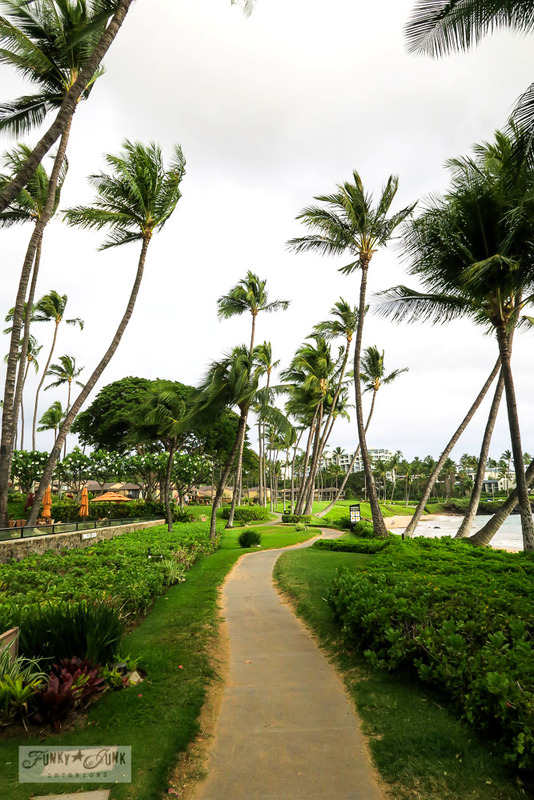 Google ‘Maui Trails’ to find them all. 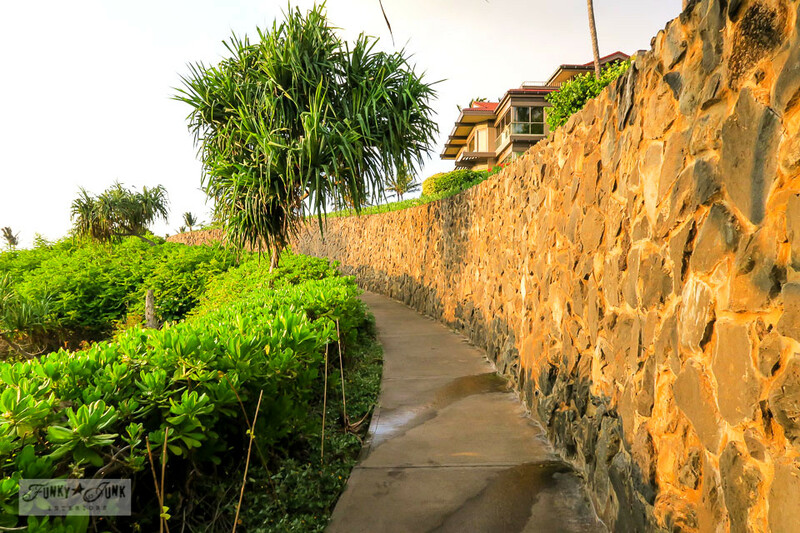 However, there is one trail that is a super easy must-see located in West Maui, called the Wailea Beach Path which I have yet to properly blog about. Ever go somewhere for years, yet it takes a newcomer to the area to alert you to something special? Thank-you Michael from Inspired By Charm! 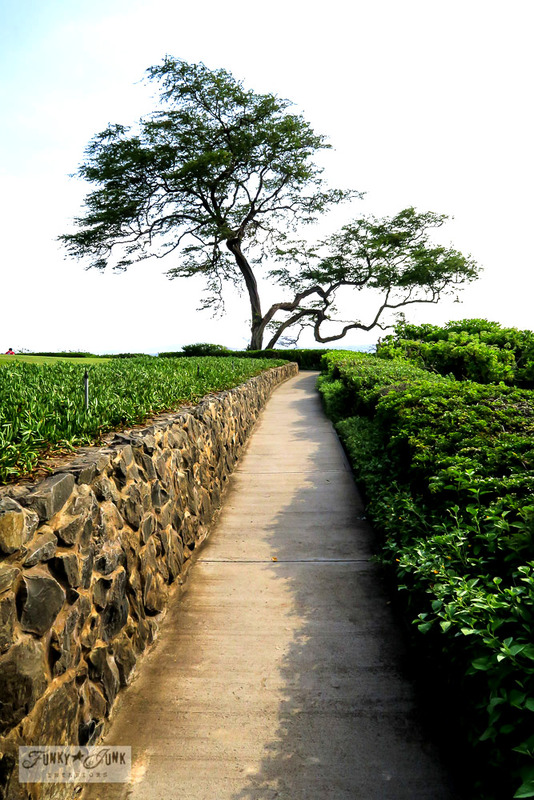 (HERE we are in Maui together) I’ve since directed a few more vacationers towards this path! 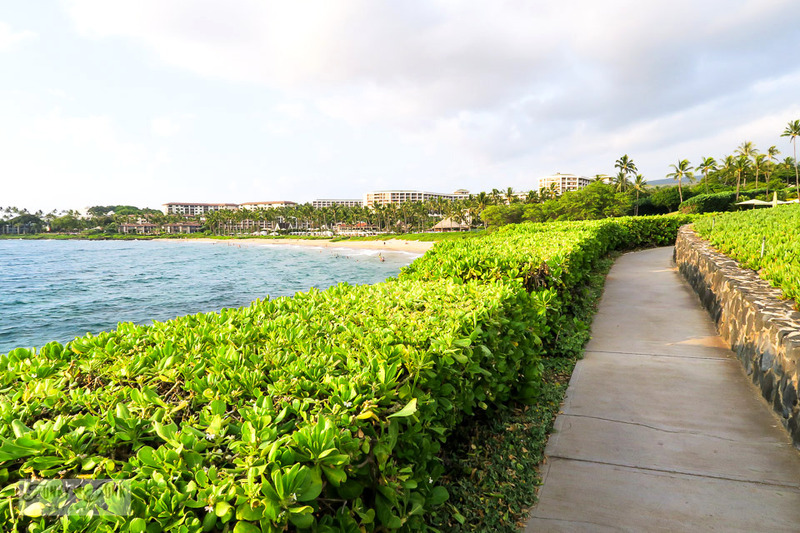 The Wailea Beach Path is a meandering 3 mile long concrete walk that circles around the coast right against the ocean, weaving in front of some pretty remarkable high end properties. Is it worth seeing? YES! YES! YES! At least once, anyway. It’s a lovely way to end a day for certain. Zoom in to spot the various beach parking lots, then choose which one you’d like to start at. 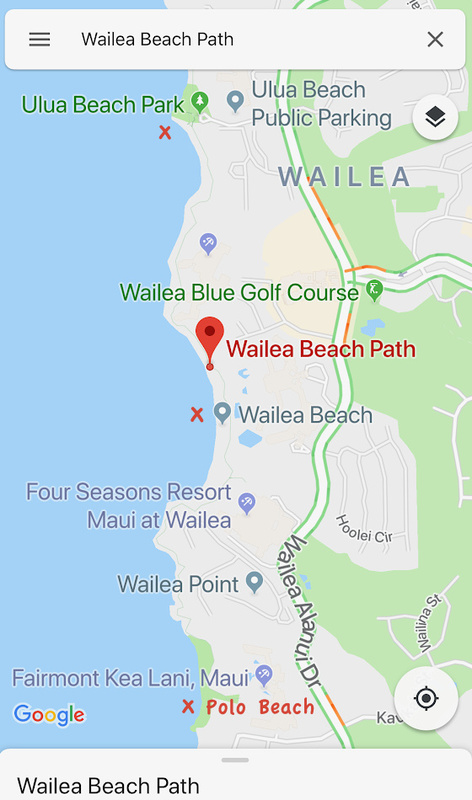 Parking choices – Ulua Beach Park (north end), Wailea Beach (midway) or Polo Beach (south end) as seen with the red Xs above. 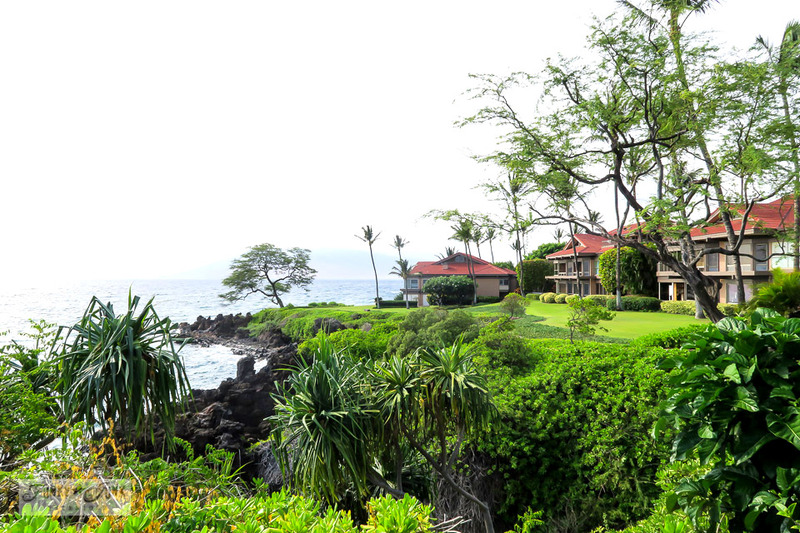 It’s just a few minutes from Kihei, which is where I was staying. However the path is worth a visit no matter what spot you are travelling from. 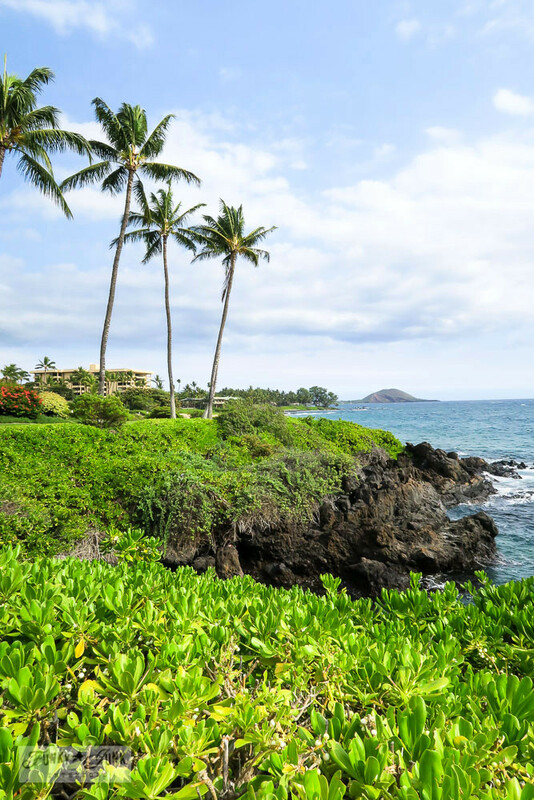 There’s plenty to appreciate in the Wailea area, including Makena’s Big Beach and the main, upscale Wailea shopping Mall. 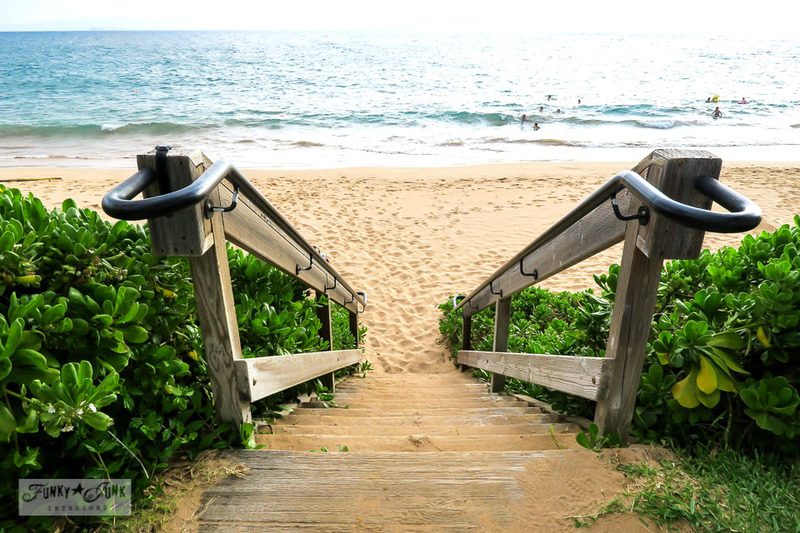 I myself started at Ulua Beach Park. And goodness… this was such a pretty spot to start. 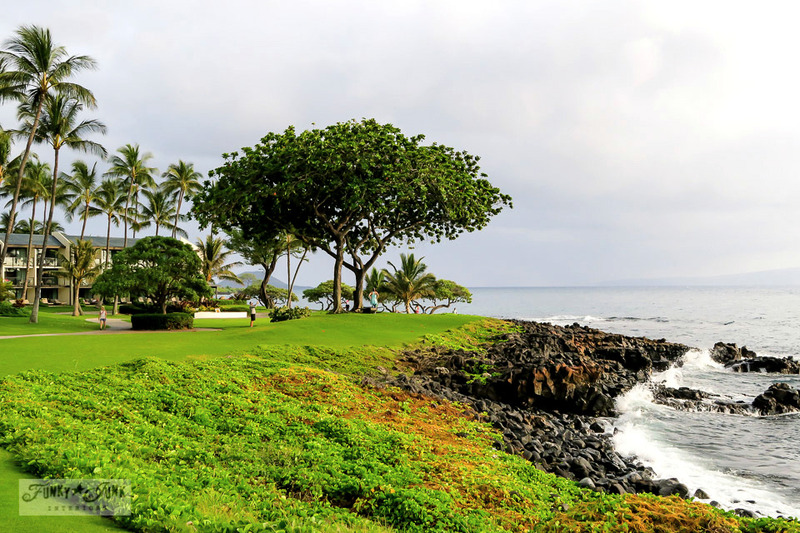 Ulua Beach is absolutely gorgeous, backed by acres upon acres of rolling green manicured lawn! This is where I ended my walk as well right at sunset, sitting in this very spot under a palm tree. It was absolute perfection. Early AM to beat the heat and have the path more to yourself. Mid PM to take in the sunset. 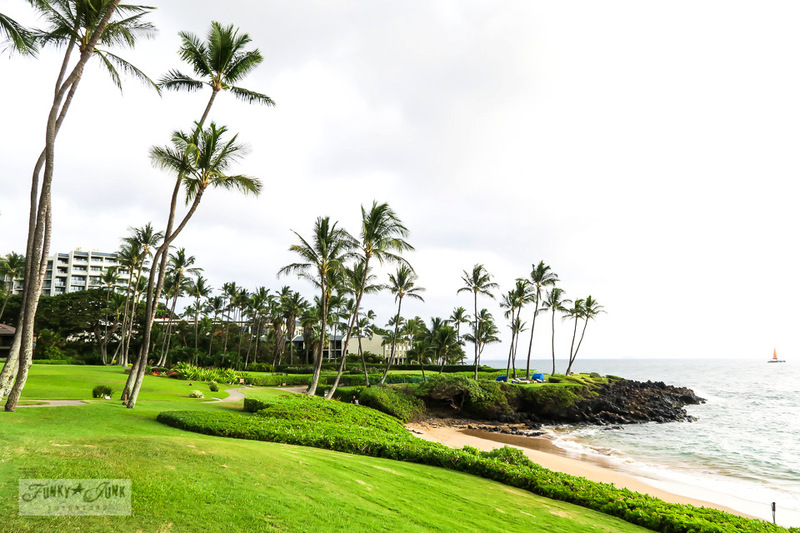 Overcast days will be more comfortable, however sunny days will give you more vivid pictures. Apparently the walk is the busiest during mid-day. I personally chose to start at about 4pm so by carefully timing it, I could take in the sunset at the end of my chosen timeframe. I walked one way for 1 hour, then turned around and took in the rest another day. Being on pavement, it is a hot walk, so do bring plenty of water. For those that know the walk well, you will likely find my photos a little mixed up. I don’t remember the order in which they transpired. A mini shoulder strap purse that holds a larger smart phone and charger. The walk takes you along the fronts of many rental high end properties. 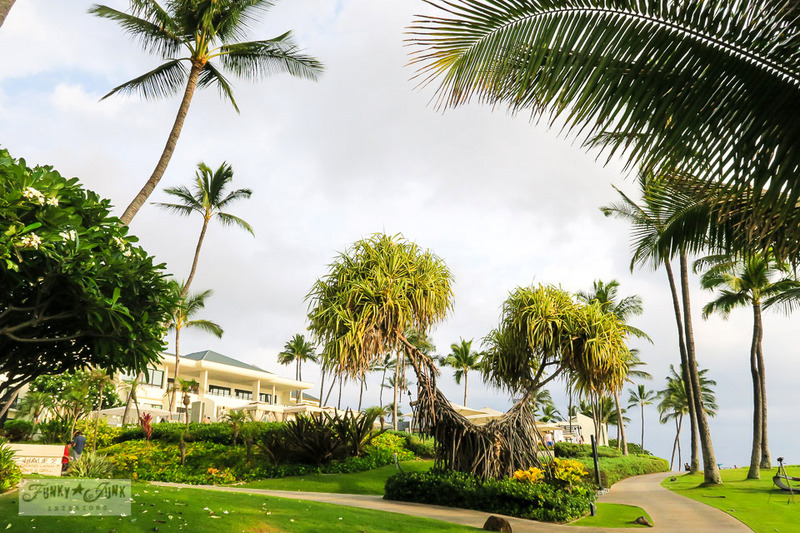 It’s fun to see their lush surroundings and even peek in at a couple of luaus if you hit the right time. 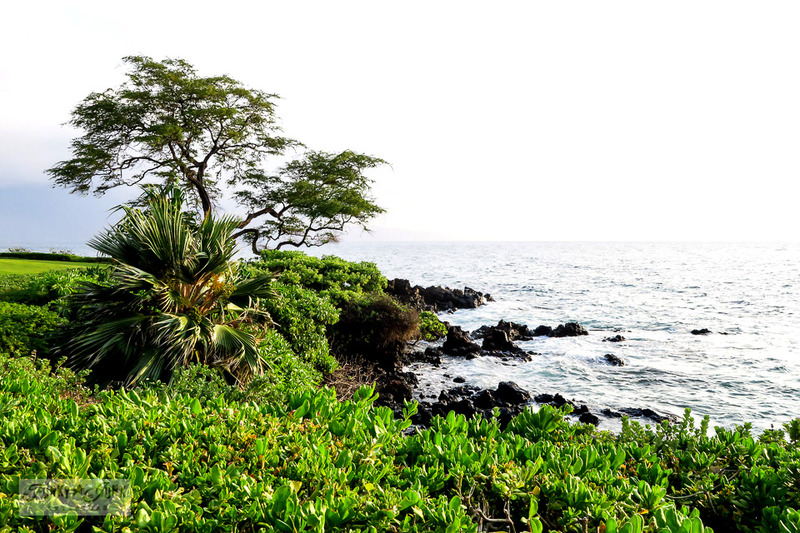 It’s just a nice chance to appreciate how beautiful this coastal area is. 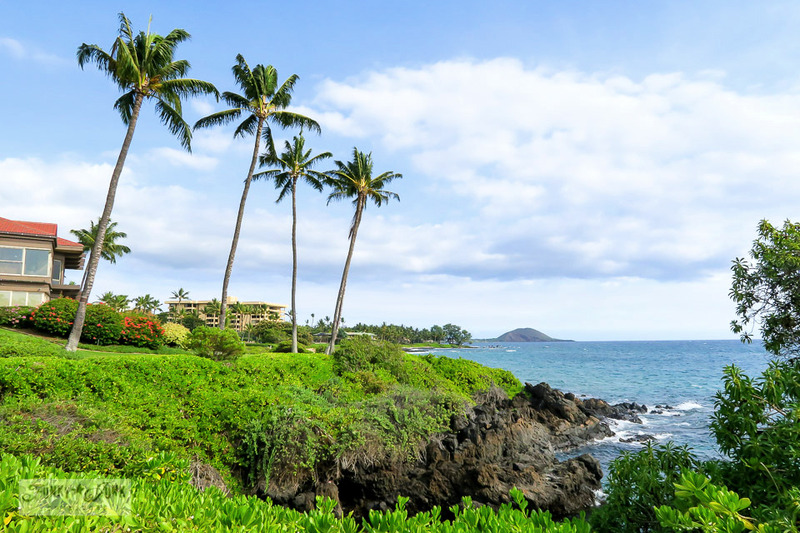 South-West Maui is really known as the desert-side, so while not lush like Hana, it certainly has a beauty all its own. The humidity (and water sprinklers) keeps things nice and green. It’s amazing how well groomed every square inch is! 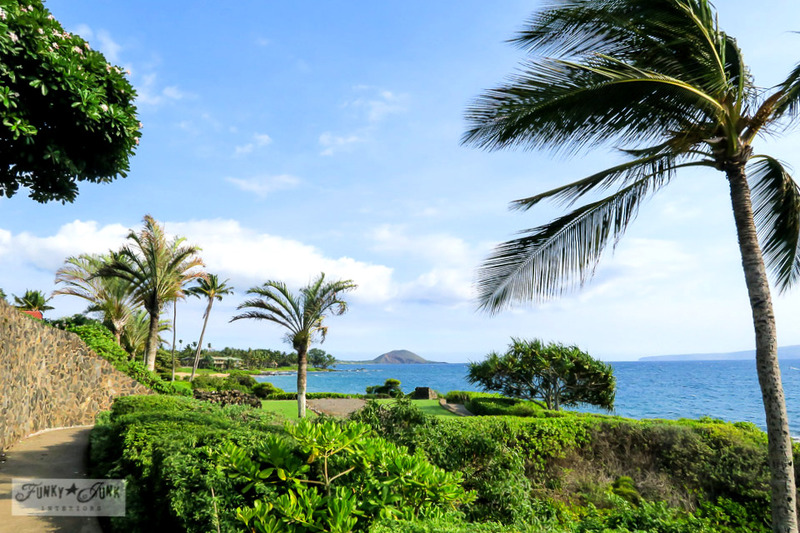 You’ll notice that in most Maui condos. The groundkeepers are always cutting or raking or blowing or mowing. 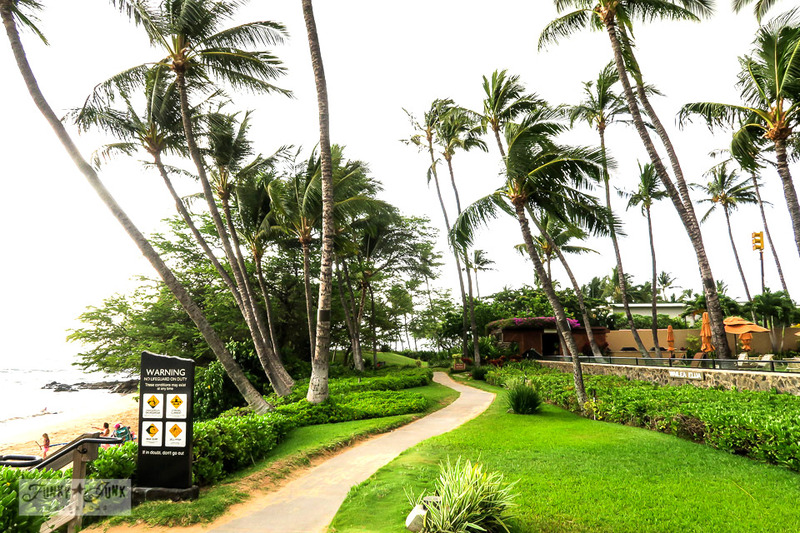 It never ever ends, especially with those trade winds kicking in, dropping flower petals and palm fronds constantly. Prettiest ‘mess’ ever I say. 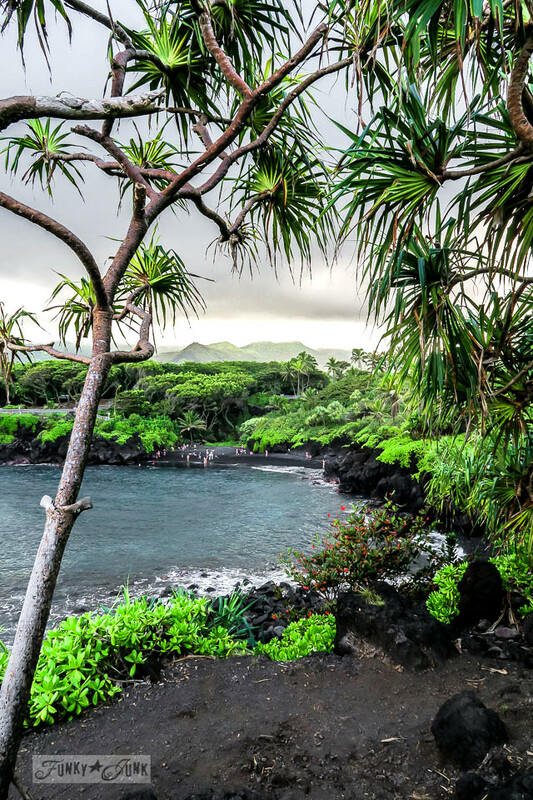 I found the Polo Beach end focused more on rocky terrains and more natural lush settings along the beach. 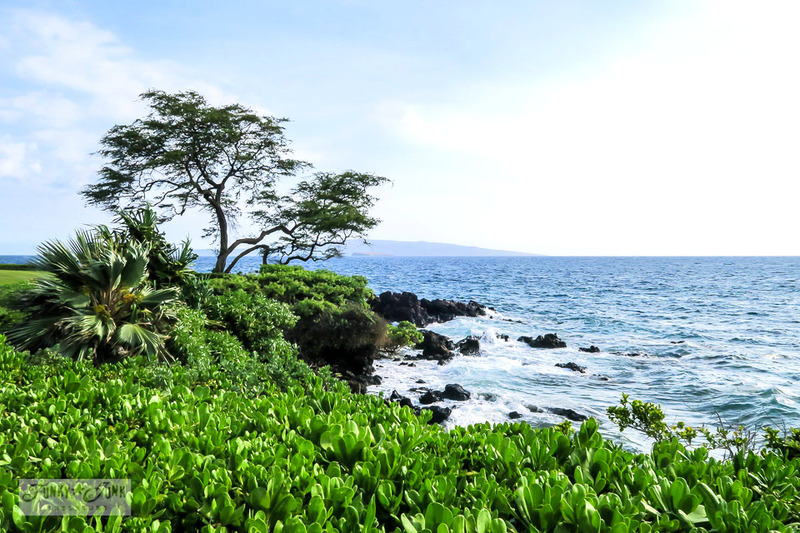 I even caught a swimming sea turtle in one of the rocky lava-encrusted bays! Timing can be tricky with people landing in your pictures though, so that’s why I like to go when crowds were on the low side. 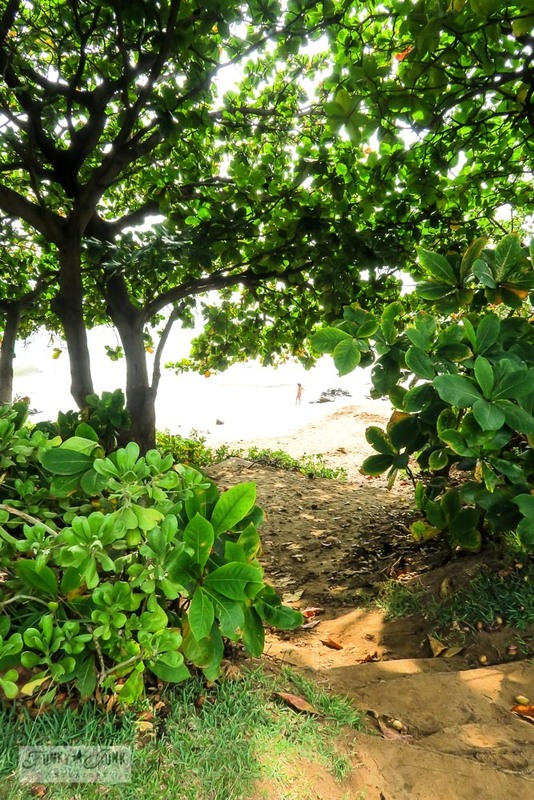 Here’s a peek into Polo Beach. The three beaches along the path are all gorgeous and worth a trip out to see at the very least, if not spend time there. 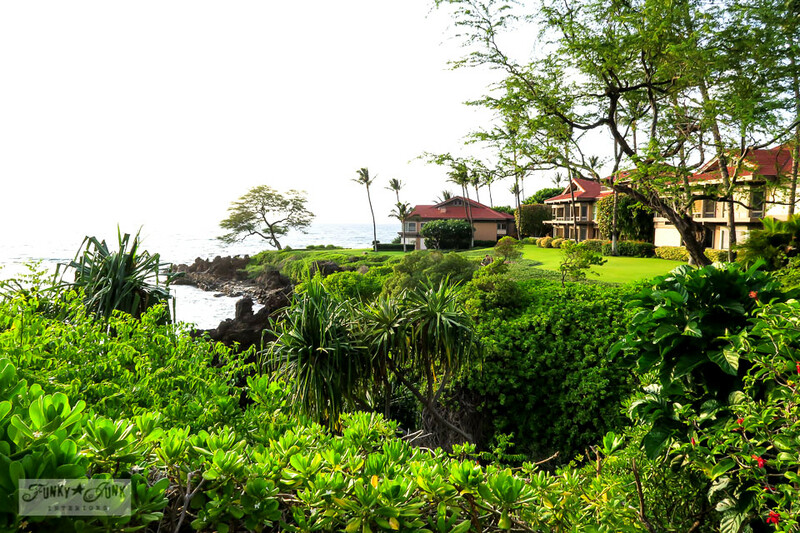 This was the little turtle bay! So happy to have caught the flippers out of the water for a few moments! I’ve been here before, but it’s always nice to take this in if you desire a little coastal fix. It’s a lovely mostly flat walk that really is perfect for anyone. End your drive back at 5 Palms for one of their half price happy hour hors d’oeuvres (oh my goodness they are SO good! try the ribs! avail until 9pm) and you’ll have completed one great worthwhile evening! Have you been on this walk? Where do you like to venture in this area most? The landscape is so dropdead gorgeous, Donna! I don’t blame you for visiting Hawaii again and again. Thank you for sharing the beauty!